The Davis Master Chorale is an all volunteer, non-auditioned, community choir composed primarily of (but not limited to) Davis County, Utah residents. 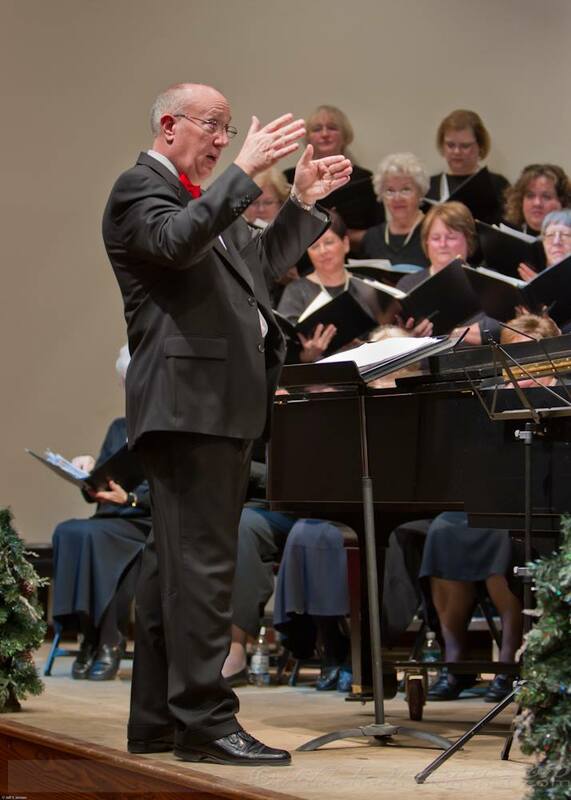 Our director, Jim Johnson, has been leading the choir for over ten years and is truly inspiring to work under. The very talented Christie Canfield serves as our piano accompanist. Winter Season: Rehearsals begin in September, with performances in December. Spring Season: Rehearsals begin in January, with a performance in April. Summer Season: Rehearsals begin in April, with performances in late June/early July. Rehearsals are held at the Davis High School choir room [MAP] on Tuesday evenings from 7:30 to 9:30 pm. Dues for each season is $20, or $35 for a couple. Anyone is welcome to sit in on a rehearsal. Auditions are not required to join the chorale.